This statistic shows a survey on places of book purchasing in Denmark in 2016. 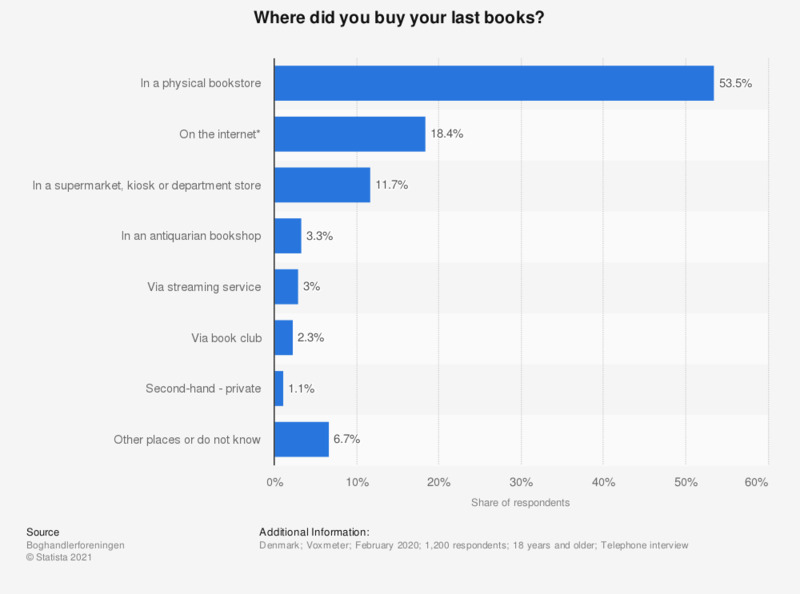 During the survey period, 49 percent of the Danish respondents stated to have bought their last books in a bookstore. * physical store; excl. internet bookstores. This question was phrased by the source as follows: "Hvor har du sidst købt bøger? Var det ..."
Where do you expect to purchase books in the future? How many books did you buy during the last 12 months? When you do not have a particular book in mind, what could encourage you to buy one at the point of sale? What influences teens to buy books?